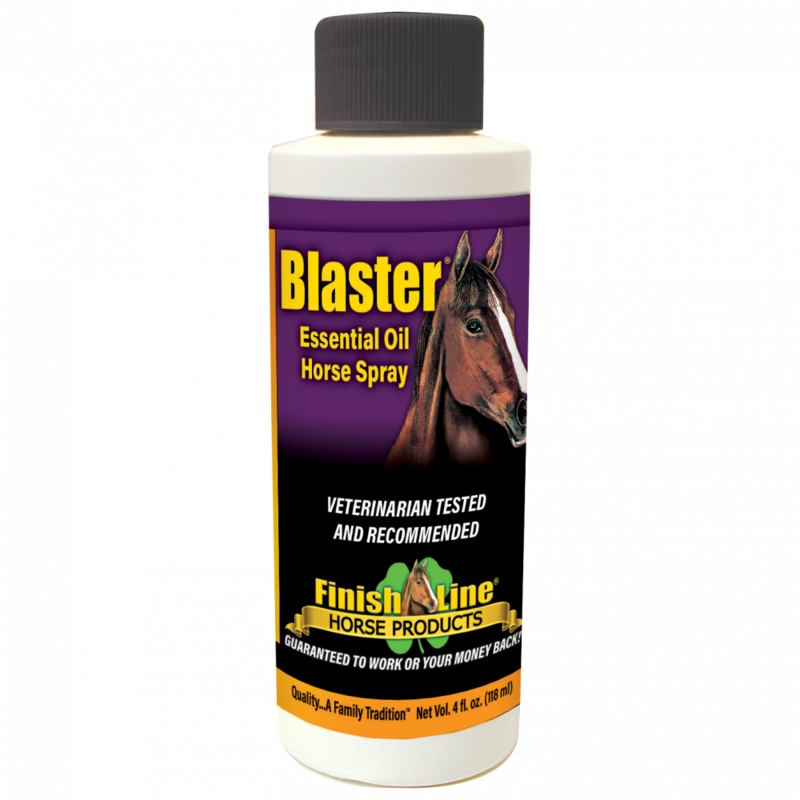 Finish Line®’s Blaster® Horse Spray is a concentrated blend of seven natural essential oils in a water soluble base. The essential oils include: Citronella, Tea Tree Oils, Lemongrass, Cedarwood, Rosemary, Calendula and Thyme. Tea Tree, Calendula and Rosemary help promote healthy skin for your horse. 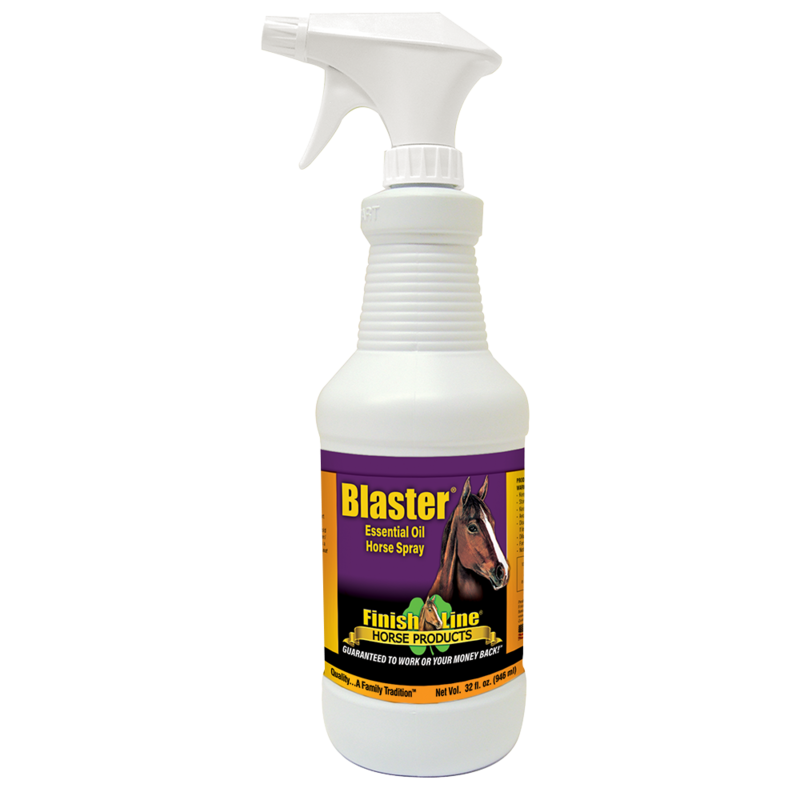 Blaster® was formulated to be gentle on your horse’s sensitive skin, and safe, since it’s essential oils based. It has a pleasant lemon/rosemary scent. Laboratory tests show that the foil-sealed 4 oz. concentrate stays fresh while stored for long periods of time; as soon as it is opened and diluted, you have a very fresh and aromatic horse spray. Concentrates are economical, and save you money! For best results and to maintain peak freshness, we recommend using the entire quart of solution before making more. Blaster® can be combined with Apple Cider Vinegar for an added boost! 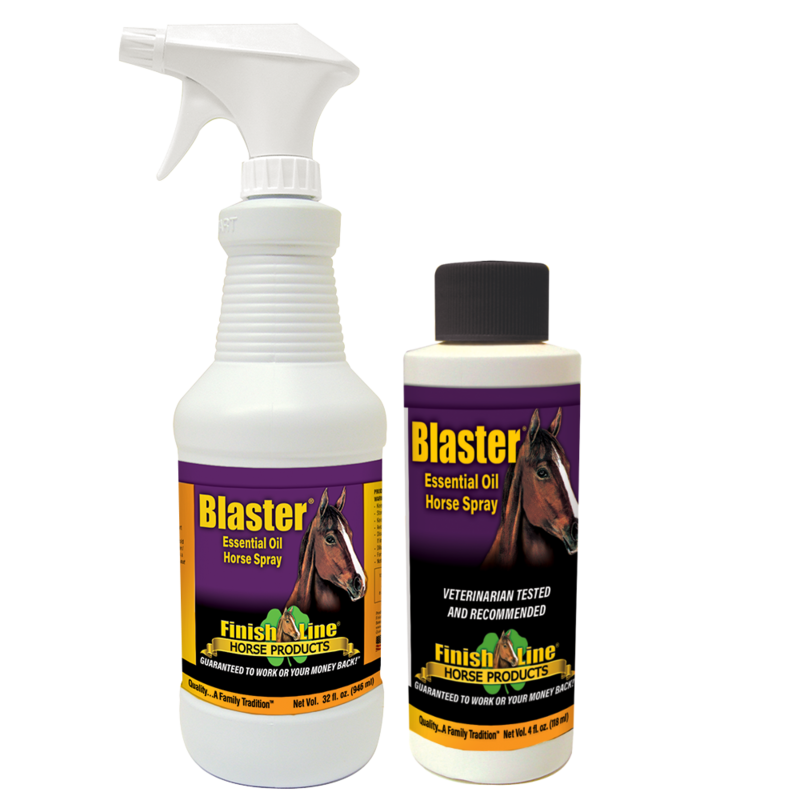 Note: Blaster® Horse Spray is safe for horses and dogs. Blaster is NOT for cats as it contains Tea Tree Oil. Remember to shield your horse’s eyes when used on the face. I cannot say enough good things about this product! It makes my horses coat beautiful and the flies HATE it. The thing that I like about it is that if the flies are driving us both crazy, I can use it on myself as well. I am not sure Finish Line would recommend that, but I do it anyway because there is nothing in it that will hurt me hahaha!! It is a great product and you can’t go wrong with using it for your equine partner.